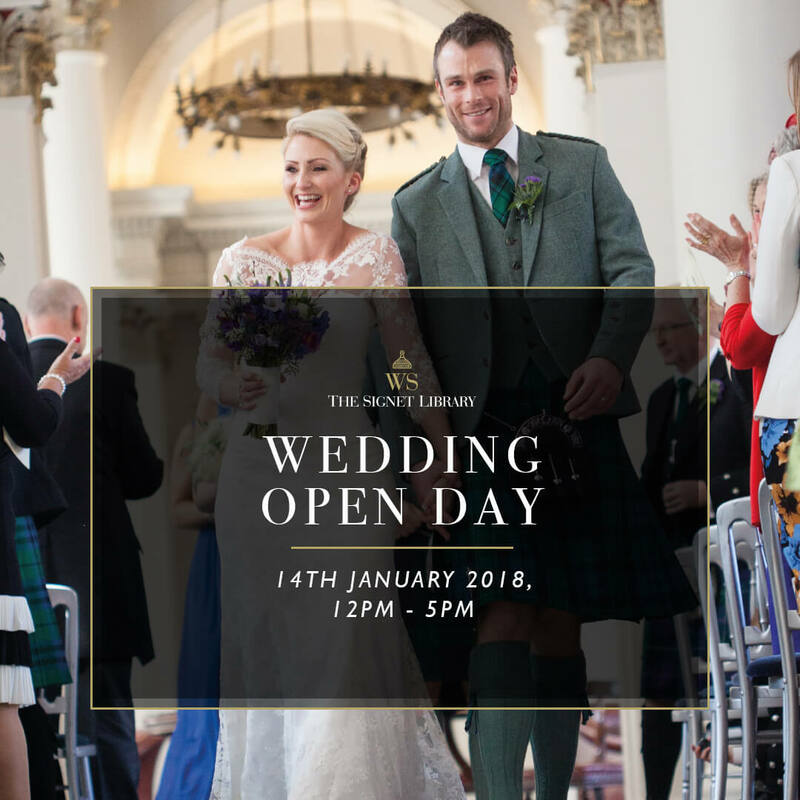 The Signet Library will fling open its doors for brides and grooms to be for a wedding open day on 14 January (12pm-5pm). The Library will be set up for a wedding ceremony and wedding breakfast, allowing couples to view the venue at its best. The team’s expert Wedding Designers will be on hand to host personal tours of the venue and discuss plans, from table settings to floral themes, menu choices and much more. Recently engaged couples can make an appointment via email or by calling the team on 0131 225 0651. The Signet Library’s Colonnades will also be open during the day, the perfect opportunity to indulge in a delicious lunch or afternoon tea. Book online here or call 0131 226 1064.